Southwest Airlines recently celebrated its 40th Anniversary of being in business, If you have never read about their history it is very interesting, the foundation of the company is built on integrity and values. 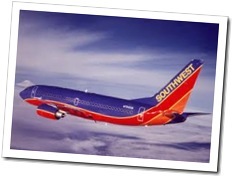 This is what the lesson said; In the fall of 1972, Southwest introduced the two-tier fare system. Regular fares were $20 to $26, and “Pleasure Class” fares, offered on the weekends and on weeknights after 7 p.m. cost just $13. To this day fares are simple. No extra fees. Simplicity extends to equipment. The airline chose to buy 737’s for most of its fleet. This concentration on one kind of plane makes maintenance more cost-effective and allows more efficient training for flight Crews and Ground Crews. Southwest has kept is simple for 40 years and has been quite successful, so what can we learn from this lesson to apply to our businesses? Keep things simple, many times we add policy upon policy for each little issue that comes up and eventually our office policy manuals are 5 inches thick, filled with what-to-do’s if something happens and it may have been that it has only happened once before, but a policy was made just in case it happened again. Or possibly we make service complicated for our customers, with paperwork, documents and jumping through hoops to get something done. Instead of thinking of policies and regulations (not that we do not need some) why don’t we think along the 80/20 line. If something comes up, think first “how often does this happen?” and if it is just a rare occasion, then it falls into the 20% category, but if it is a common issue then you need to look at how to resolve it and what to do when it happens so that everyone understands and adheres to the policy set up for the 80%. Having a few rules that are enforced is much better than having a rule for every little issue that has ever come up. Keeping it simple will help employees to know what is expected and what they can do and they same for your customers. I have seen office policy manuals that are thicker than the World Atlas and then there are those like where I work that are less than 10 pages total. Simple rules like treat your co-workers as you would want to be treated, with respect, thoughtfulness, and understanding. Have high standards, no lying, cheating, stealing. Treat your customers as if they were your relatives, and take your job but not yourself seriously are pretty much the basics that cover most issues that would come up. Sometimes less is best, take a few minutes and think about how you might simplify the rules and policies you have and let me know, I would love to hear back from you and what you practice in your place of business. This entry was posted on Thursday, September 11th, 2014 at 8:00 am by Tina Del Buono, PMAC. Filed under Business Owner, Customer Service, Leadership, office management. You can follow any responses to this entry through the RSS 2.0 feed. Both comments and pings are currently closed.